Probably the most common problem when making anything out of iron pipe and fittings is getting the desired length. Runner up to that problem is how to make the fittings point in the right direction when you assembled them on to a pipe and tightened them up. The answer to both is a simple and cheap trick - electrical tape. Black Electrical Tape, just a couple of turns will do. Add more or less to make it perfect. But first a little explanation: In most cases you want to tighten the pipe into the fitting tightly to make sure of a rigid joint. But that also means that the pipe may screw in too far, not enough, or the fitting may not end up in the position you need. 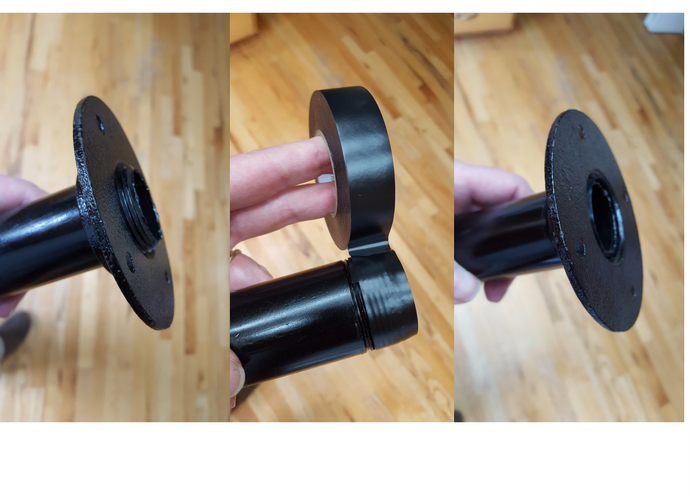 But, because plumbing pipe uses a tapered thread (it's a smaller diameter at the end than at the base) it's possible to pack the joint with tape which pushes the pipe out a little bit. Then, depending on how much tape you put on, you can adjust the point at which the joint tightens. Now, if you have any familiarity with plumbing you are probably thinking PTFE tape. But, that actually doesn't work very well in this application. 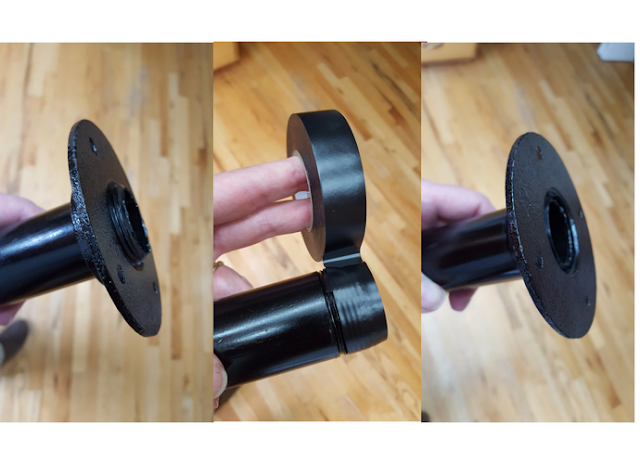 The ideal stuff is black (because your pipe is black) electrical tape. Usually a couple of turns of electrical tape on the thread will give you a little extra adjustment room. Add more or less if it's not quite right. You'll also find that because of the nature of the tape, it's much easier to adjust the exact rotation of the fittings while still having a solid joint.